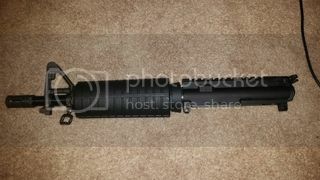 I have a new PSA upper, complete with bcg and charge handle for sale. I received this upper a few days ago, but changed directions on my build. 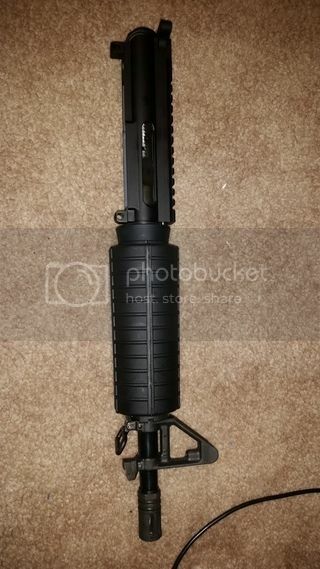 Price is $280 shipped complete, 175 shipped without bcg and charge handle. I also have a 16" wilson combat lightweight stainless barrel. 5.56 chamber, 1 in 8 twist, mid length gas system. Previous owner had the barrel nitrided and then sold it unfired. I.have approximately 200 rounds through it. Includes low profile gas block and gas tube. Ill take the upper/ bcg/ ch per our discussion.